We’ve said it before: The Volvo XC90 is a great vehicle in search of an equally great control layout. Starting at just under $57,000, the XC90 is Volvo’s largest and most expensive crossover, and it’s the only one offering three rows of seats for 7-passenger capacity. A couple of years ago, we reviewed a very similar XC90 Inscription of 2017 vintage, noting the vehicle’s great dynamics, packaging, and luxury, but docking it points for its overly complicated control layout. We’ve had similar feelings about other new Volvos, as virtually all are fitted with the same infotainment setup. Anyone fearful that a 2.0-liter four isn’t enough engine shouldn’t be; 6.67 to 60 is quite quick. Something else used in many new Volvos is the company’s supercharged and turbocharged 2.0-liter 4-cylinder engine. While some might be taken aback at a small 4-cylinder being under the hood of a premium midsize crossover, we don’t feel that’s warranted. Not only is its 316 horsepower a lot of output for a 2.0-liter four, but the engine provides better off-the-line punch than almost any other of that size we could name, and the 8-speed automatic transmission chimes in with quick kickdowns when the throttle is stabbed at speed for great passing response. 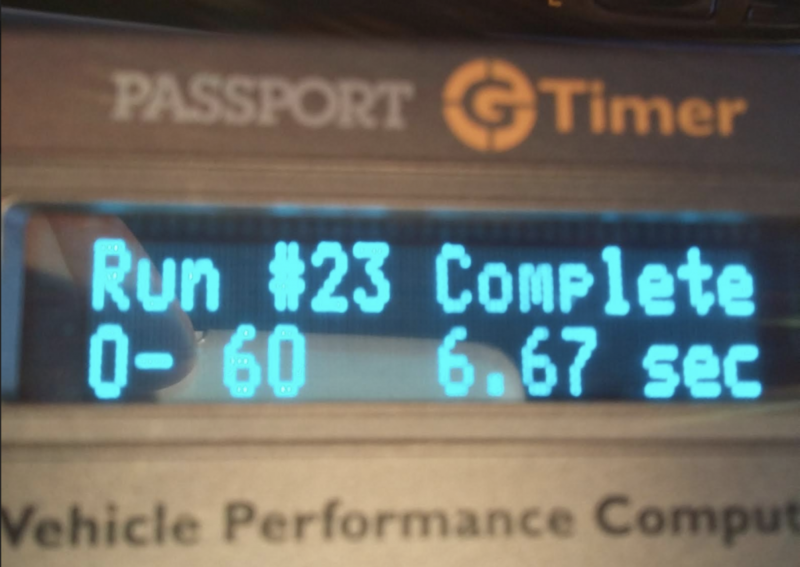 We timed our tester at an athletic 6.67 seconds in the 0-60 dash, so while most rival 3-row crossovers of this size offer a larger V6, it’s doubtful it would ever be missed in an XC90. Beautiful wood and leather line the cabin, contributing to an overall stately look. Access to the third-row seat is tight, and though an average-size adult can fit back there — aided by a second-row seat that slides fore/aft a few inches to provide more third-row legroom — foot space is limited due to a protruding hump under the seat cushion. Something else that won’t be missed is premium-level equipment, as much is standard on the XC90. This includes a 12.3-inch touchscreen, Wi-Fi hotspot, rear-obstacle detection, panoramic moonroof, Nappa leather upholstery, walnut interior trim, 10-way power front seats with cushion extensions and lumbar adjustment, driver-seat memory (more on this in a bit), 4-zone climate control, and a full complement of high-tech safety features – all included in its $56,695 base price. Hard to look at that as anything but a bargain in this class. Less of a bargain, however, were some of the options. For instance, the $6050 Inscription package seems to be aimed at people who don’t think $60,000 is enough to spend on a premium midsize crossover, as it includes mostly dress-up items. 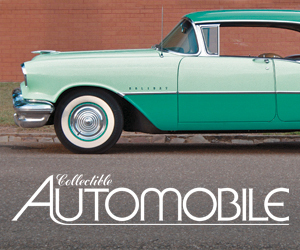 And we’re not sure the $800 for 21-inch wheels (vs. standard 20s) was money well spent, as they may have added some of the “small bump” brittleness we noticed in the ride, which was otherwise fine. From there, however, the options added could be justified. The $2500 Advance Package brought front and rear obstacle detection with park assist, adaptive headlights that turn with the steering wheel when rounding corners, a headlight cleaning system, a head-up display, and a 360-degree camera system. Also of value were the heated rear seats and heated steering wheel ($750) and second-row integrated child booster seat ($300). Audiophiles might appreciate the $3200 Bowers and Wilkins sound system, and some might find the $645 for our tester’s Denim Blue metallic paint to be worthwhile. 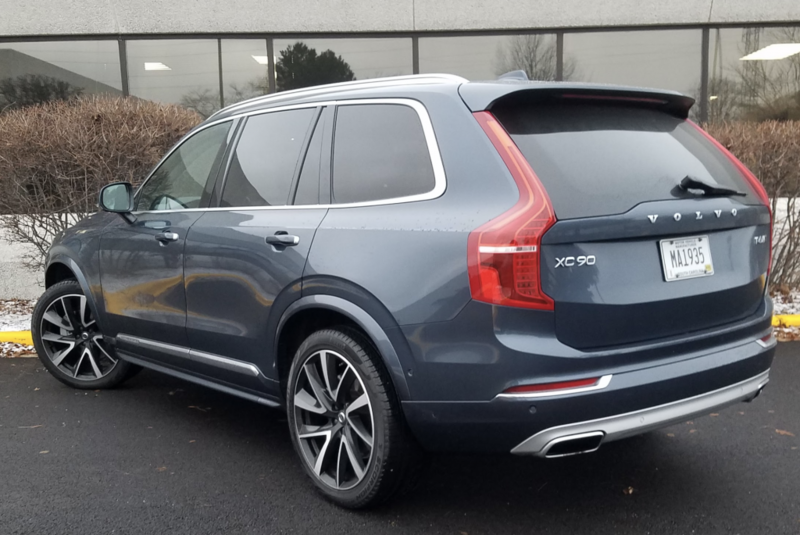 We’ve admired the overall luxury, value, and passenger/cargo packaging of the 2019 Volvo XC90 enough to have awarded it a Consumer Guide Best Buy every year since its 2016 redesign. But that doesn’t mean it’s perfect, and in fact, it exhibits some rather strange traits. Visibility is fair all around, aided by second- and third-row headrests that can be folded down. Nice. Trouble is, the “buttons” to do so are buried in the touchscreen and difficult to activate quickly. Ditto the 360-degree camera system. While many vehicles so equipped have a separate, instant-access CAMERA button on dashboard or console, the XC90’s is swipes and punches away in the touchscreen, especially if you want to select a focused front or side view – which may make people not bother with it when they should. Then there’s the oddly marked button on the dash that opens the glovebox door, and the fact that the parking brake doesn’t release when you put the vehicle in gear until you give it quite a bit of gas (this really feels odd). The driver seat is nicely equipped with power-adjustable lumbar support and an extendable seat cushion (great for taller folks), but both have to be adjusted – you guessed it – through multiple touchscreen steps. The steering wheel’s tilt/telescopic movement isn’t powered so its position can’t be included with the seat and mirror memory, and even if left on Level 3 (hottest) when the vehicle was turned off, both the seat and steering-wheel heat reset to Level 1 (coolest) on a cold restart. But it’s the infotainment system that has garnered the most criticism from our drivers – and others. Like so many other functions, all adjustments but volume are made through the touchscreen, and most are very unconventional and tedious to boot. And there is no physical owners manual where you can look things up; instead, there’s a virtual owners manual that you have to know is “dragged down” from the top of the screen, and even then, it’s often difficult to find what you’re looking for. 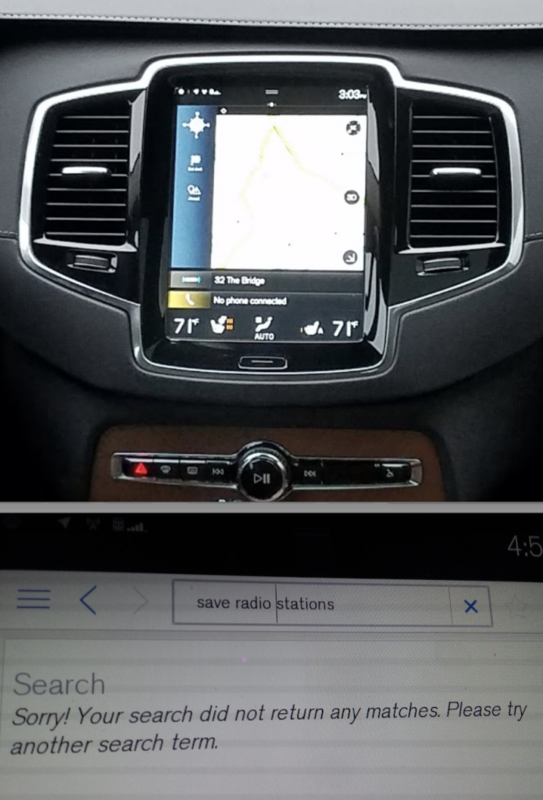 We had a hard time adding radio stations to the “favorites” list, and several attempts at typing in our request for instructions were met with, “Sorry! Your search did not return any matches.” We found it easiest to put in a broad category – in this case, “Radio” – and sift through the umpteen responses. 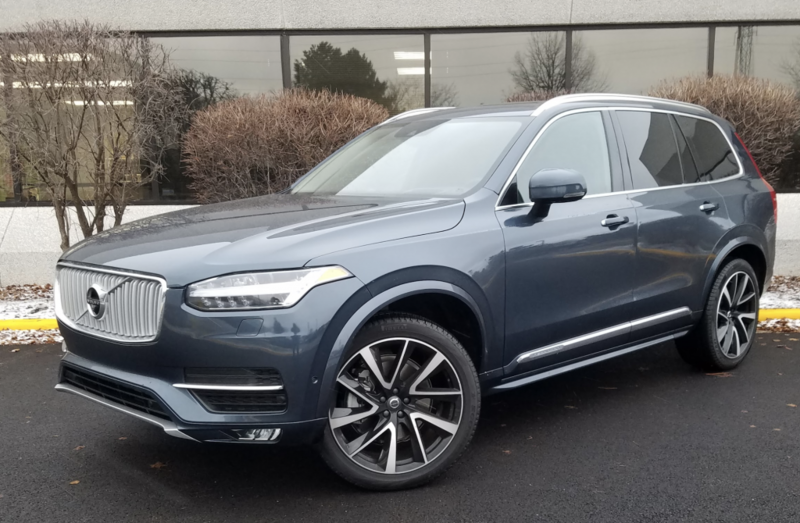 And I doubt we were the only testers to have difficulty with this, as the XC90 had 5000 journalist-driven miles on it when it arrived, and the only stations set in “favorites” were four AM ones – and that NEVER happens. Certainly much of this is learned if you own the vehicle, but that doesn’t necessarily mean it’s quick or convenient to use. Far more positives – of which there are many – were covered in our review of a very similar 2017 model, and it may seem a disservice that we’ve focused on some negatives here. But it really isn’t. Because any prospective buyer getting into an XC90 is going to run into these oddities – if, indeed, they try to use any of them – and we feel it would really be a shame if it all turned them away from what is otherwise a tremendously good vehicle – and an equally good value. The wheels and some of the fancy brightwork are optional — at rather high cost — but a nicely equipped XC90 can be had for $60,000. Written by: The Daily Drive staff on February 11, 2019.on March 22, 2019.